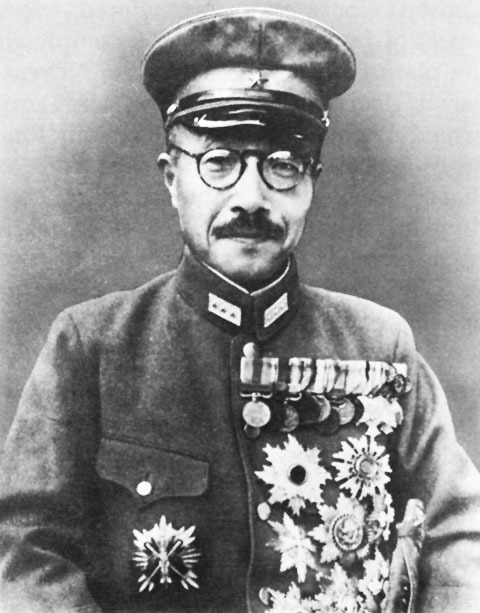 Emperor Hirohito and General Hideki Tojo! For a period, these Giants of Japanese were carved in the minds of Koreans. The Japanese occupation; it began on august 29th 1910 and came to its end on August 15th 1945. It was a long 35 years which changed the Korean people for better or worse. Before, most Koreans were starving surfs under the “medieval” royal family. It basically treated the “free” people as a source of income to exploit as a family possession and its. The brutal land owning aristocracy had their own surfs and slaves to exploit. Among these two groups most of the land was controlled. After the Japanese occupation, many of these old privileges and ways of society were gone although the landed class --- now a mix of the old aristocracy and new money --- owned most of the agricultural land. Change, in this area, would have to wait until the Korean War to really be completed. While the overall wealth and population of the country had increased considerably during the occupation, many of these were exhausted during the wars with China and USA. While there were considerable amount of effort put into education during the occupation by Koreans and even the Japanese --- they let the Korean colonial upper and newly formed middle classes send their children overseas for education, there were not enough of an educated and experienced elite population to properly run the country after the Japanese withdrew. In addition, when Koreans gain their independence, many of the young, passionate, and educated were outside of the boundaries of Korea. Many had escaped to China to try to fight to the good fight or to just make a living. Some were in the Soviet Union. Again either to make money or learn how to be “Good” communists. Others found themselves on Hawaiian plantations or main land cities in America. Some of these – including the ideological leaders of the factions --- would come back to steer the wheel of their newly liberated mother country. Names such as Kim Gu , Syngman Rhee, and Pak Hon-yong, that are still be remembered to this day, would make the trip as soon as possible. However, many never made the trip and their dependents remain there still. 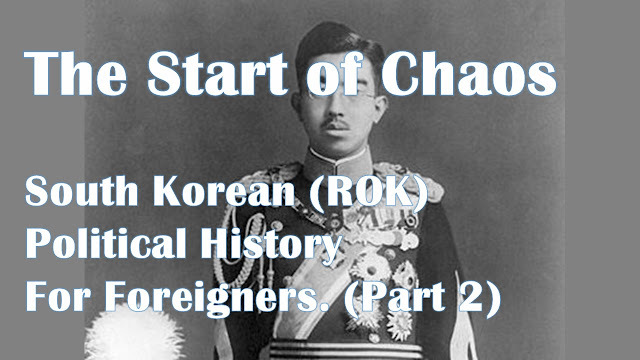 In addition to its political mess, the populous of Korea were also in a state of ideological and philosophical chaos; Tribal nationalist, communist, and democrats… No one really had a firm grip on where this new ship of a country would go. Everyone had their own weird ideas and not much of a willingness nor cultural tradition of working together. It didn’t help that Koreans’ understanding of all the ideologies involved in this mess were immature and haphazard. What did Koreans really know about Marxism? I mean Korean still try to study Marxism! How much could they have understood? Capitalism and democracy…Koreans have never seem these concepts working in real life at the time. Even know, I don’t think the majority of Koreans have a firm grasp of them. Tribal nationalism….what is that really? It is mere reaction rather than a proactive ideology. So, while joyful, liberation also lit the fuse for an unorganized and messy political struggle between the 3 factions who were vying for dominance. It was a race between dozens of groups roughly falling into 3 factions bashing each other for dominance and to shape the country in one’s own image but done so deft and blind. Immediately after the first radio broadcast by Japanese Emperor Hirohito, the Japanese started to withdraw from Korea while dozens of “independence” groups started to take control of social institutions. There were not much organization to this endeavor as this was done on a grass roots level and the leaders were still distant from the action while they were arranging return to the mother land. Within days, the political dynamic within the country (more accurately in the South) took the form of a conflicts between the “Government in exile” loyalists --- a mix of tribal nationalists and communists. --- and the “domestic” alliance --- a mix of other tribal nationalists and communists. This alliance didn’t last long as the communists rather quickly went their own way. A bit late, the democrats entered the scene as did the members of the “Government in exile” although quite a bit later as they were refused entry for a while by the new foreign overseer of the liberation (US). This was what was happening in the South. As you would expect, there was political chaos in addition to many other problems involved with building a country. However, the fate wasn’t willing to let these groups fight it out on their own. You have to remember Korean independence was a byproduct of Japan’s defeat in the Pacific war. It would be the victors who would ultimately dictate terms. So, after the initial hustle, many were left waiting to for the giants of the international community (US and Soviets) to arrive and lay out the law. They didn’t have to wait long.